"Investor friendly building with affordable units. Building allows short term monthly rentals which generally receive higher rents than normal leases." 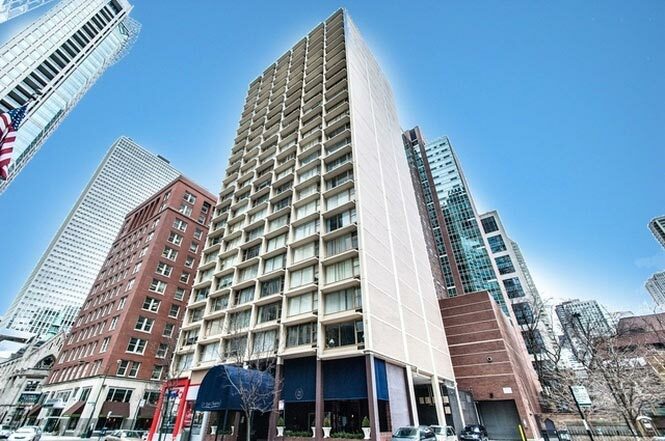 21 E Chestnut is just a block from Michigan Avenue in the heart of Chicago's Gold Coast neighborhood. With this prime location, residents of the building can take advantage of easy access to beaches, parks, and bike paths along Lake Michigan as well as all of the conveniences of city living - world class shopping and excellent dining and nightlife options moments from their front door. Building amenities include 24-hour doorman service, a rooftop pool with city skyline views, a gym, sauna and media room. Though 21 East Chestnut is an older building, many of the units have been renovated over the years to feature modern fixtures and finishes in a number of spacious layouts. 21 E Chestnut is pet friendly. Leased indoor parking is available in the attached garage.